Conservative Ivan Duque won Colombia's presidential election Sunday after a campaign that turned into a referendum on a landmark 2016 peace deal with FARC rebels that he pledged to overhaul. 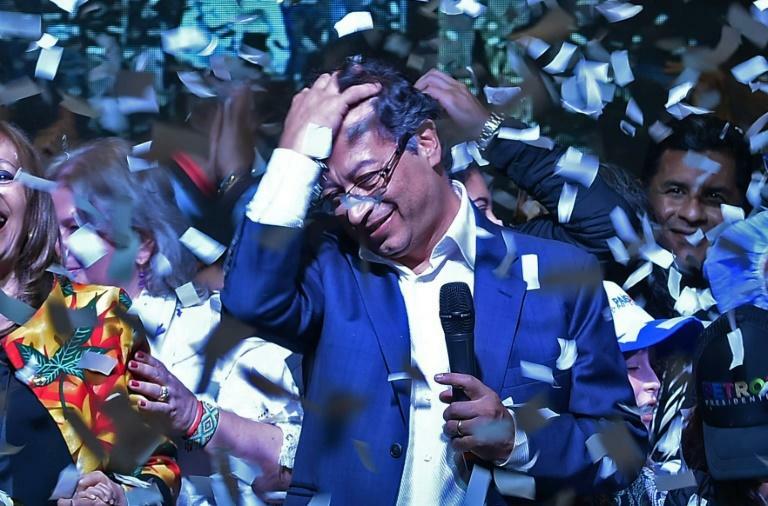 Duque, 41, polled 54 percent to his leftist rival Gustavo Petro's 42 percent with almost all the votes counted, electoral authority figures showed. Tensions over the deal became apparent in the immediate aftermath of Duque's victory, after the president-elect lost no time in pledging "corrections" to the peace deal. "That peace we long for -- that demands corrections -- will have corrections, so that the victims are the center of the process, to guarantee truth, justice and reparation," Duque told supporters in his victory speech at his campaign headquarters. "The time has come to build real change," Duque said, promising a future for Colombians "of lawfulness, freedom of enterprise and equity," after decades of conflict. "Our role is not to be impotent and watch it being destroyed," he said. FARC, which disarmed and transformed into a political party after the peace deal but did not contest the election, immediately called on Duque to show "good sense" in dealing with the agreement. 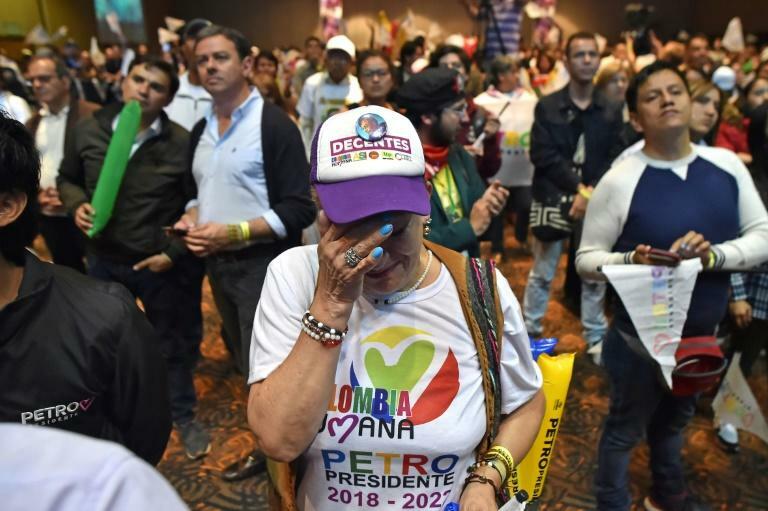 "What the country demands is an integral peace, which will lead us to the hoped-for reconciliation," the FARC said in a statement after Duque's presidential win. "One of the big questions here is what's going to happen with the peace process," analyst Yann Basset of the University of Rosario told AFP. "He has said he will not end the agreement, but that he will make modifications, and it's not very clear what these changes will be." Duque's victory means he will be Colombia's youngest president since 1872. As he voted surrounded by his children, Duque said he wanted to make sure that those who commit crimes "pay for them." "The need to change things is fundamental," he said after voting. "We are going to build a humane Colombia that is at peace, that is reconciled with itself." FARC leader Rodrigo Londono, known as Timochenko during the conflict, said: "With either one of the two (candidates), we cannot let down our guard." Highlighting Colombia's glaring inequalities during his campaign, Petro also said he would buy out land owned by the big agro-industrial companies and redistribute it to poor farmers. "The biggest challenge will be to adopt a clear position on the peace agreement because, for the moment, we are in limbo," Fabian Acuna, professor of political science at Colombia's Javeriana University, told AFP. 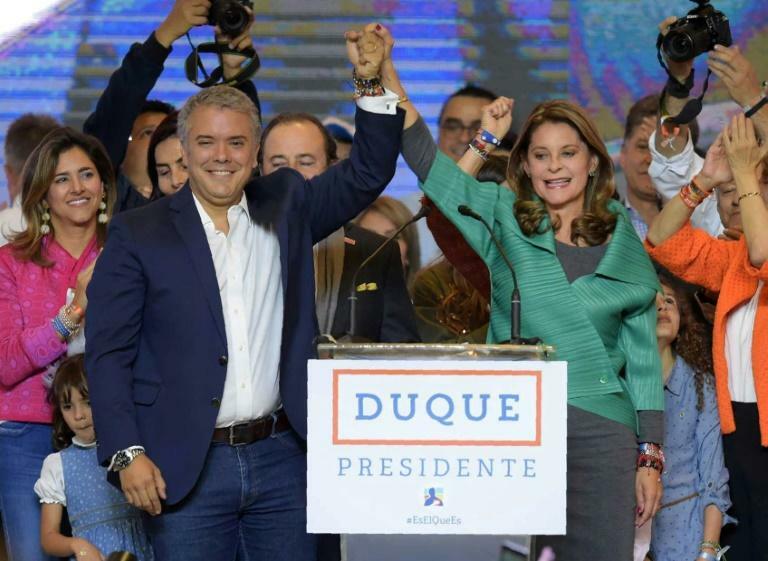 According to Andres Ortega of National University, Duque will "arrive with a very strong coalition in Congress," where the right swept the polls in March legislative elections. It still gets 10 seats in Congress as a result of the peace agreement -- a clause Duque is intent on scrapping.